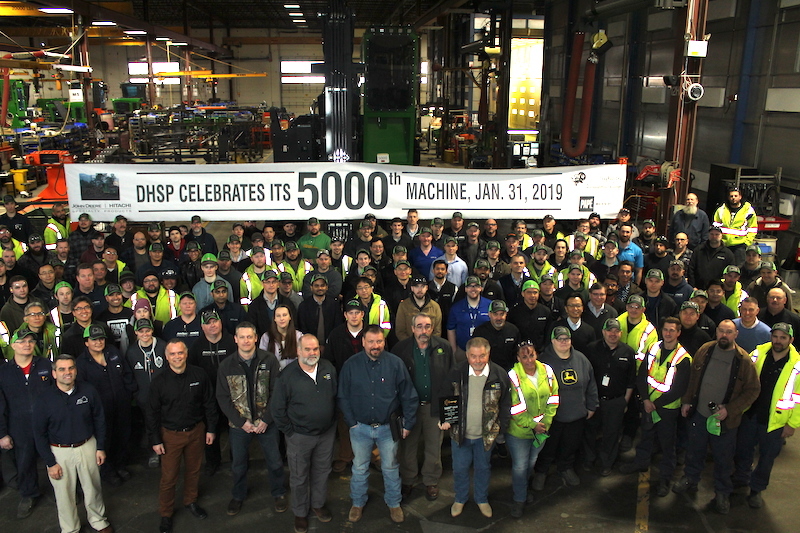 DHSP employees, along with representatives from Bighorn Logging Corp. and Papé Machinery Construction and Forestry, celebrate the production of DHSP's 5,000th swing machine. 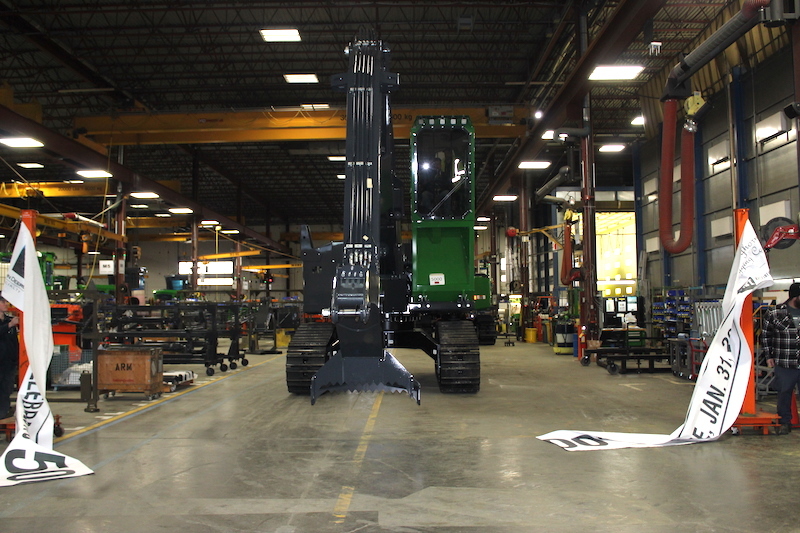 Twenty years ago, the John Deere-Hitachi Specialty Products (DHSP) factory in Langley, B.C., opened its doors and began producing purpose-built forestry swing machines. 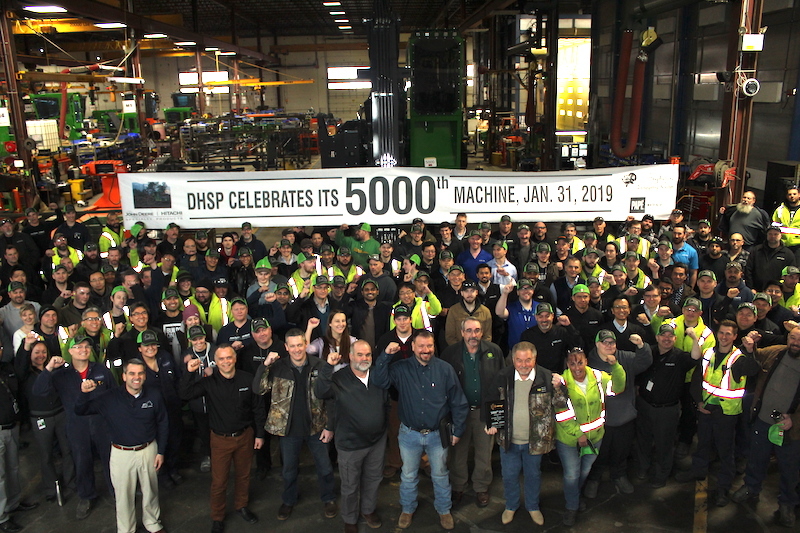 On Jan. 31, 2019, the factory celebrated the production of its 5,000th swing machine. To commemorate this landmark, the company presented the new owners of this machine, Bighorn Logging Corp., with a gold key. 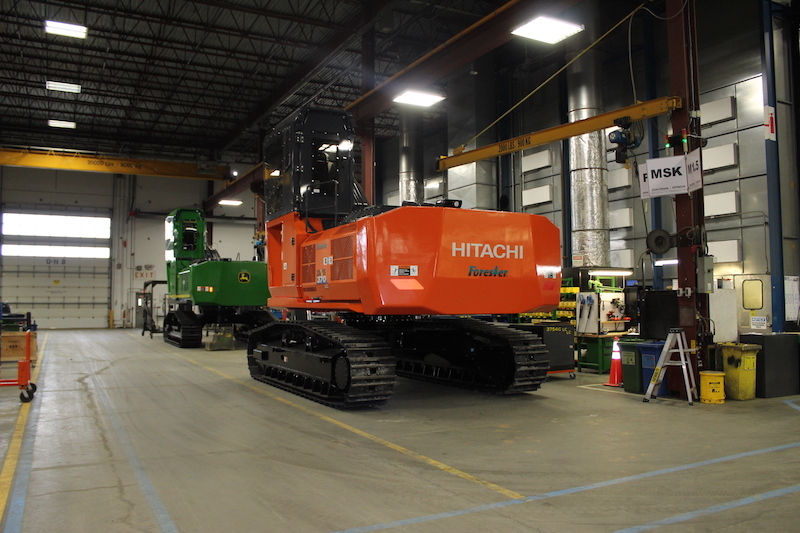 CFI was there to celebrate with DHSP and join Bighorn Logging on a tour of the factory. Based in Banks, Ore., Bighorn Logging has been using John Deere forestry machines since 2012. 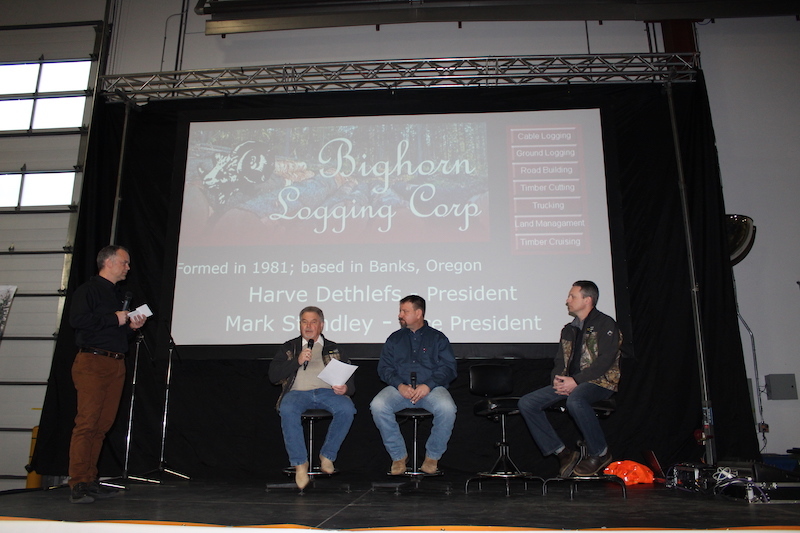 In a Q&A in front of the factory’s 120 employees, Bighorn’s president Harve Dethlefs and vice-president Mark Standley shared their thoughts on the state of the industry and how important quality machinery is to their operations. 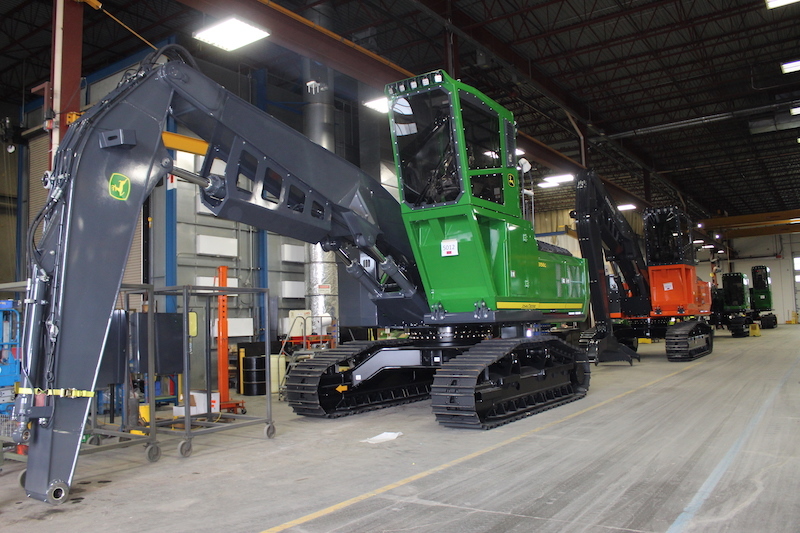 Bighorn has 27 machines in its fleet, 16 of which are John Deere. Machine quality is a key factor in choosing their equipment. And John Deere, Dethlefs said, provides that reliability. Staying up-to-date with machinery doesn’t just help with production. For Bighorn, it’s one of the ways they’re tackling the industry-wide problem of attracting new employees. “It’s hard to get new people into our industry, younger people into our industry, but a lot of these guys are interested in some of the new technology,” Standley explained. For Standley, one of the coolest features with John Deere machinery is JDLink, which allows him to monitor fuel consumption, track idling time and hours worked. This, in turn, helps the company save money. DHSP’s newer forestry machines have also put a new focus on operator comfort. L-R: Jarvis de Groot, DHSP product marketing manager – forestry swing machine; Harve Dethlefs, president, Bighorn Logging; Mark Standley, vice-president, Bighorn Logging; JR Hendershott, delivery and revisit specialist, Papé Machinery. 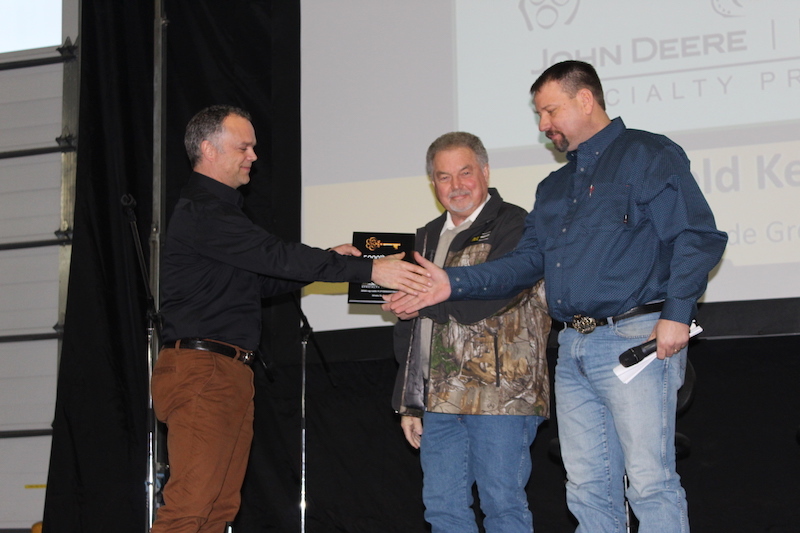 DHSP’s de Groot presents Bighorn Logging with a golden key. DHSP employees and representatives from Bighorn Logging Papé Machinery celebrate the 5,000th swing machine. 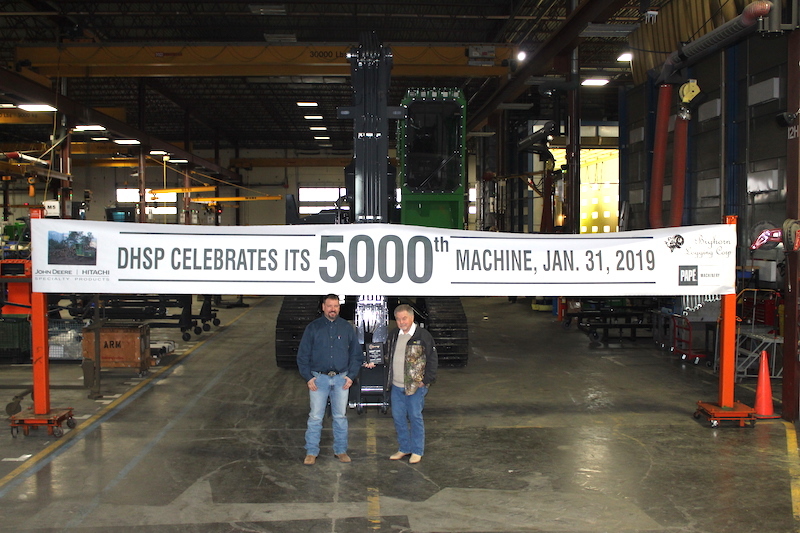 DHSP employees, along with representatives from Bighorn Logging Corp. and Papé Machinery Construction and Forestry, celebrate the production of DHSP’s 5,000th swing machine. Bighorn Logging president Harve Dethlefs (right) and vice-president Mark Standley in front of the 5,000th swing machine. 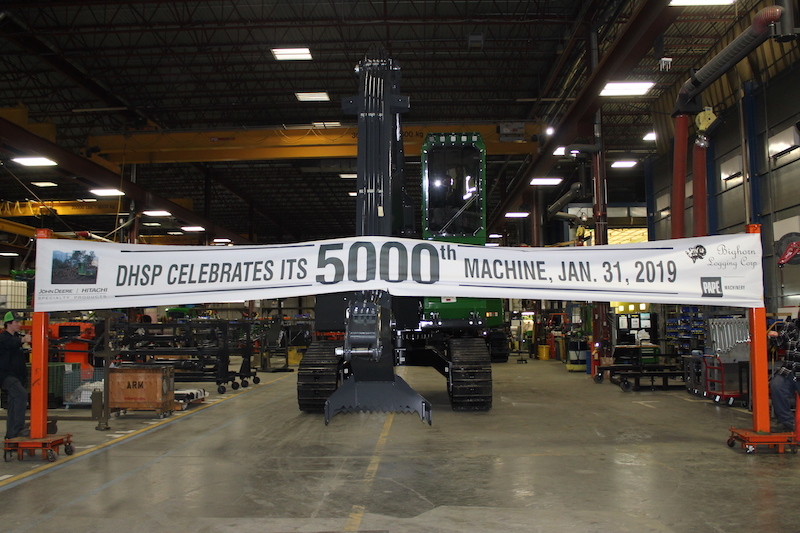 DHSP’s 5,000th swing machine breaks the banner. For DHSP, quality and design are some of their core values. 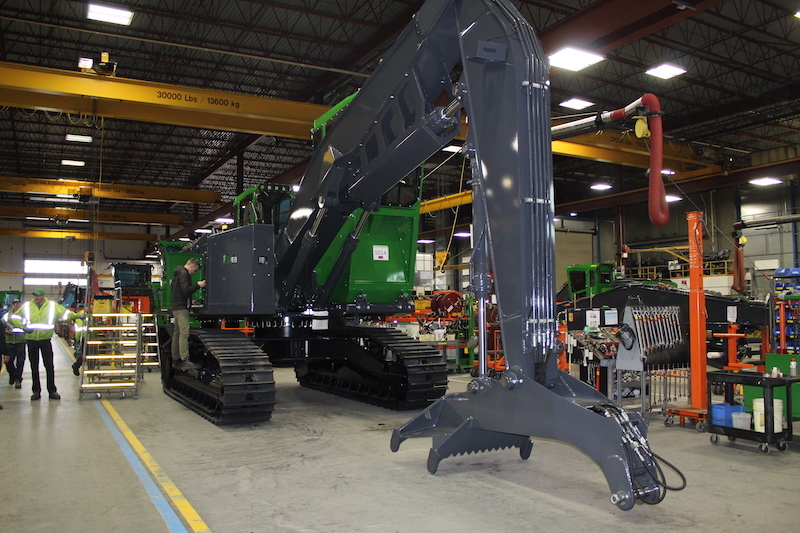 When John Deere and Hitachi Construction Machinery first formed a joint venture in 1998, they recognized that converting excavators was not the best way to perform logging operations, explained Mark Wilkinson, program manager and product specialist at DHSP. In particular, the swing machines have evolved in a number of ways, including improvements in vehicle control, horse power, swing torque and fuel economy, said Wilkinson. 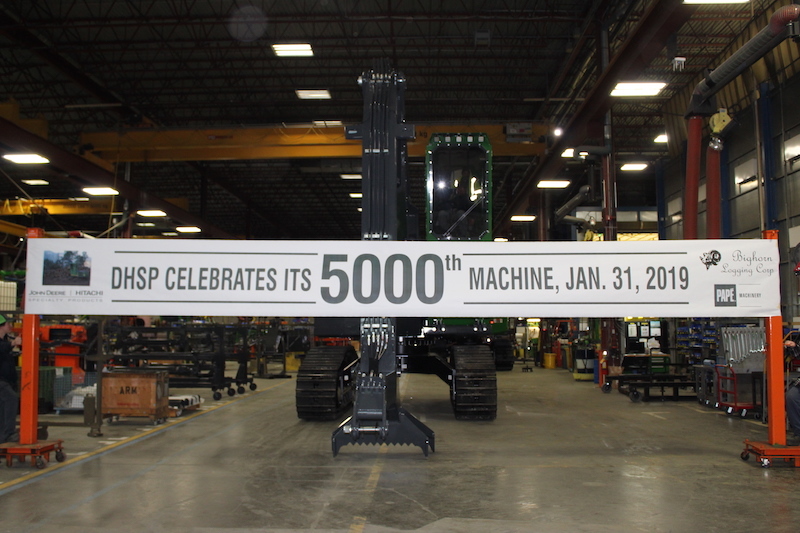 The production of their 5,000th swing machine is an exciting moment for DHSP, particularly because it’s produced in B.C.